I have some regular content to post too, but I thought maybe I'd share a bit about one of the other joys in my life - food! I love to cook, bake, eat and photograph things so today's post combines all of those things. My dessert of the week last week was panna cotta. I couldn't decide between salted caramel or blackberry sauce, so I made both! I ended up preferring the blackberry while Morgan loved the salted caramel. I used a recipe that had Greek yogurt which gave it a bit of tangyness which went well with the sweet sauces. We also went to quite a few restaurants in the last couple of months, between our wedding and Dine Downtown Sacramento event. Here's some of my favorites/least favorites. 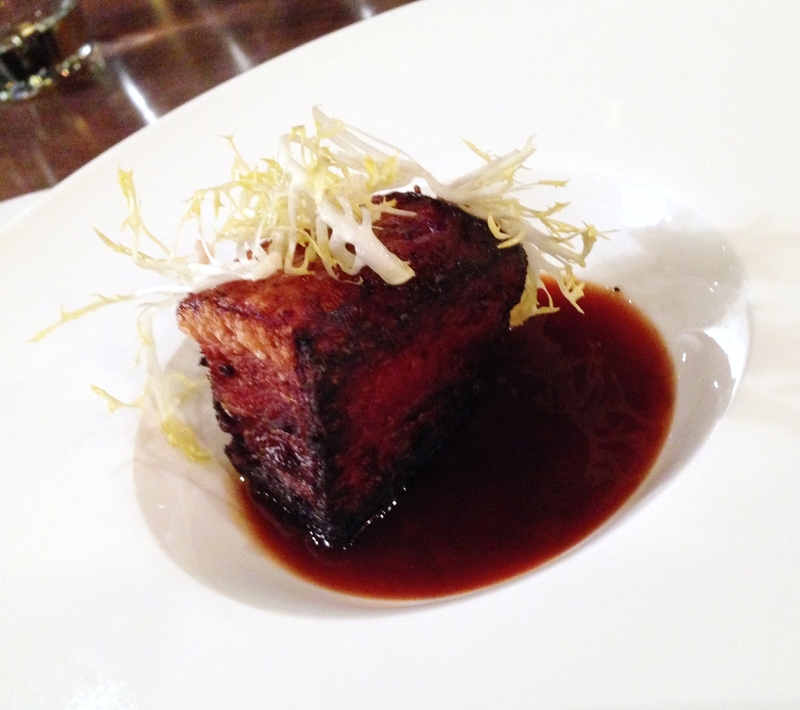 Roasted bacon with maple glaze, wild frisee and truffle. Meh. Not sure why I ordered this - I actually deteste maple syrup! 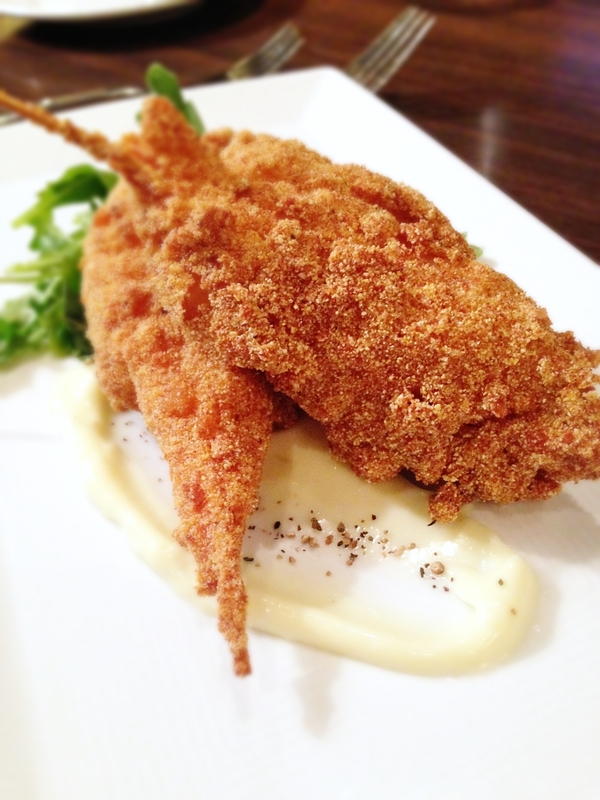 Crispy Meyer lemon prawns. Pretty good, though the sauce tasted essentially like sour mayonnaise. 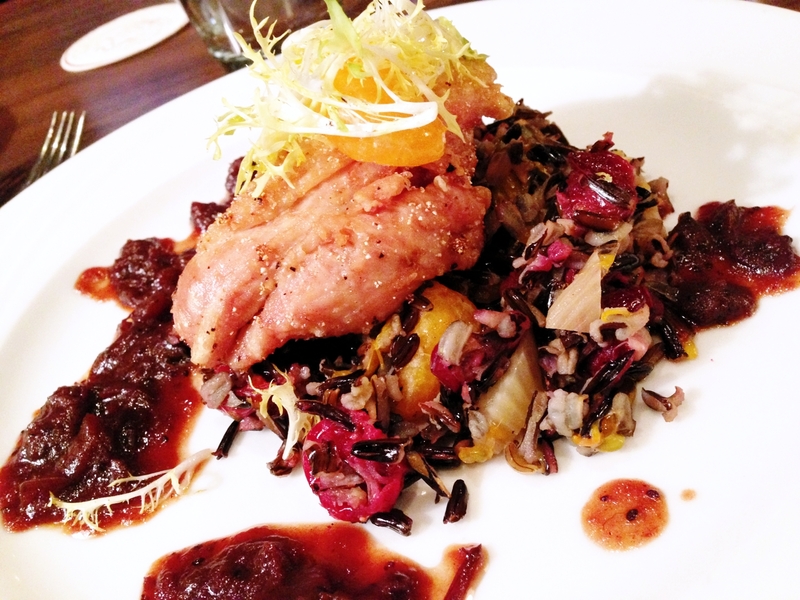 Pheasant with wild rice, cranberry and fennel. This looked much more interesting than it tasted. Pheasant was on the dry side. 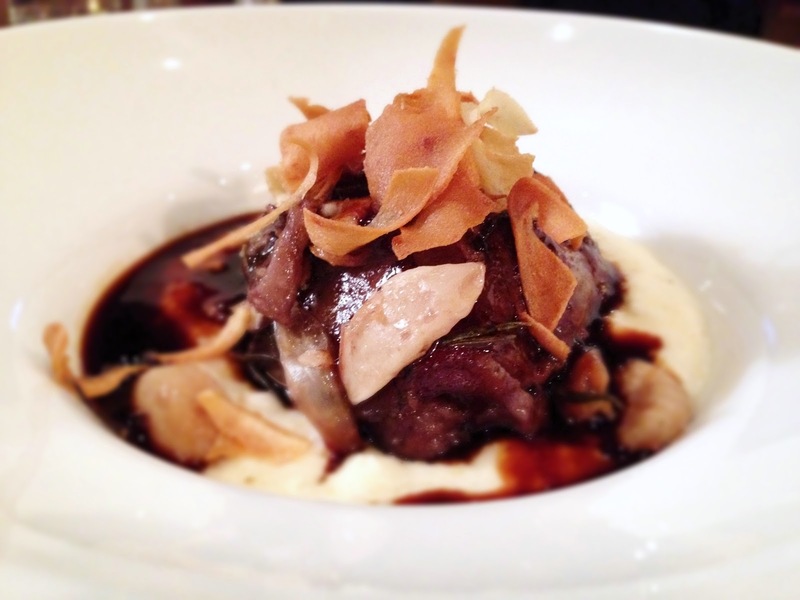 Braised lamb with polenta and red wine jus. This was absolutely fantastic. Possibly the creamiest polenta I've ever had. Butterscotch bread pudding. 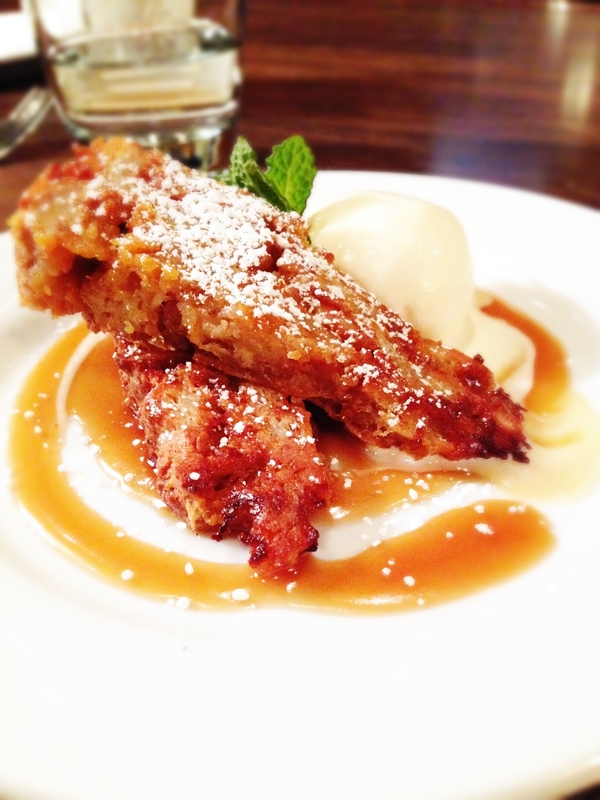 A dessert that surprised me- I usually am not big on bread pudding but it was scrumptious! 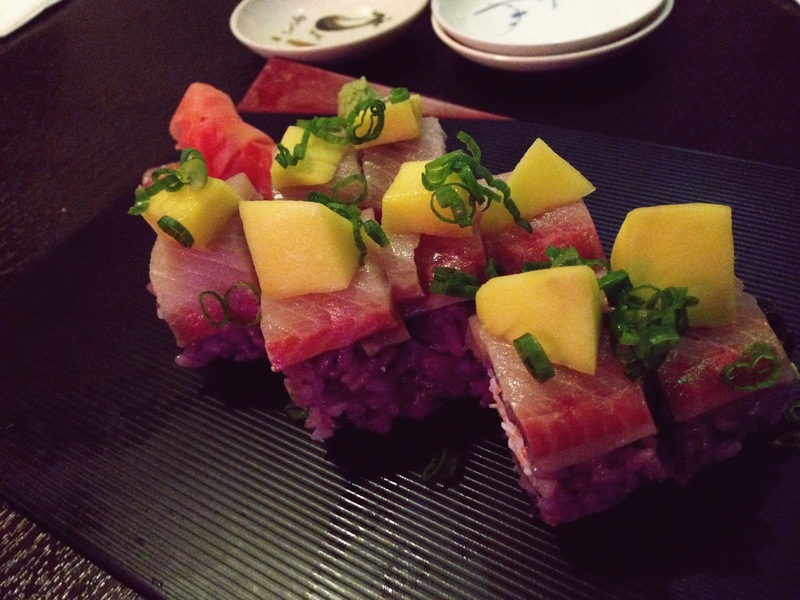 One of our local sushi spots that we hit up pretty often. I tried something new, a roll with asparagus inside. Loved it! Have you eaten or cooked anything extra delicious lately?